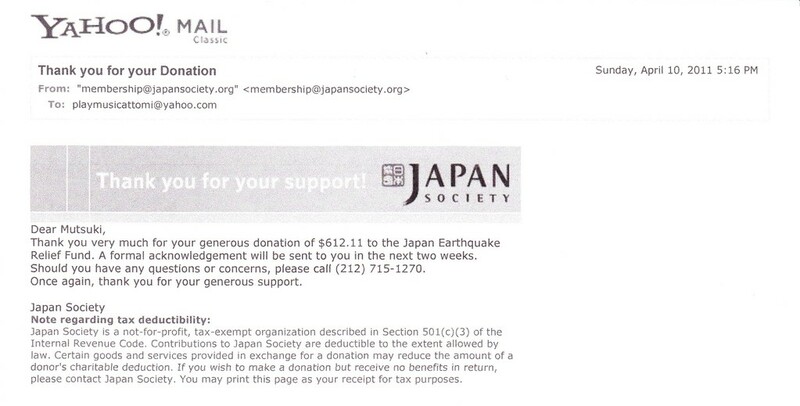 We will donate all the money in the box to Japan Society Earthquake Relief Fund. 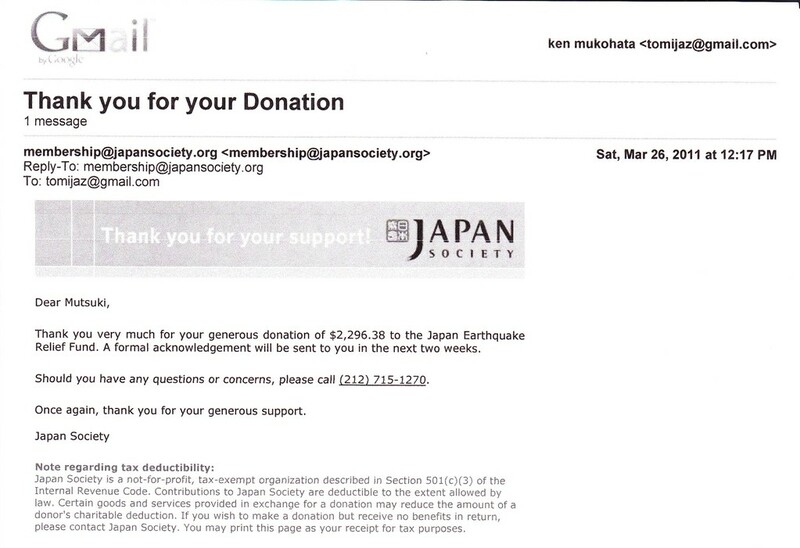 *We are sending money to Japan Society by our credit card. 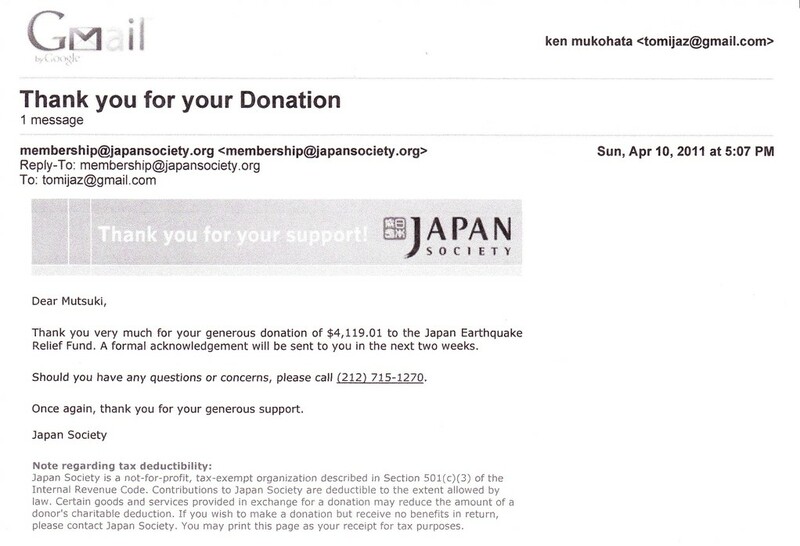 Therefore, checks we receive as donations need to be deposited to the bank account of Tomi Jazz. Thank you for understanding. 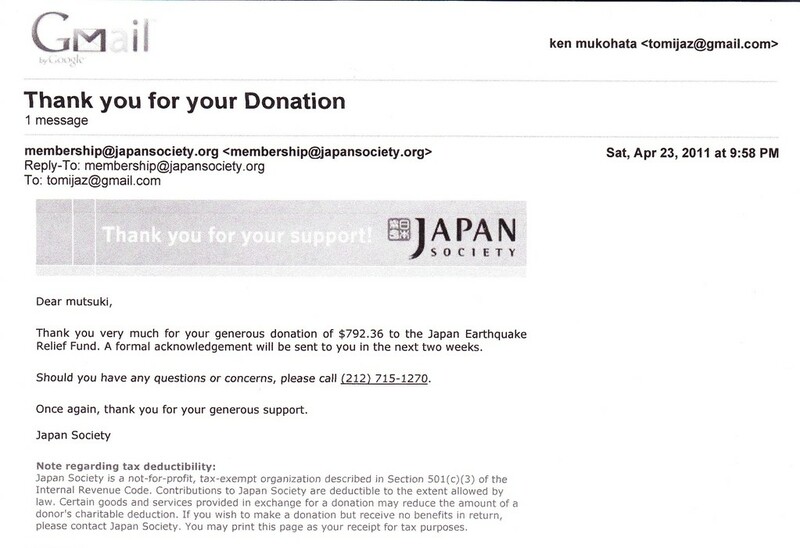 The balance is going to be donated to Japan Society Earthquake Relief Fund. 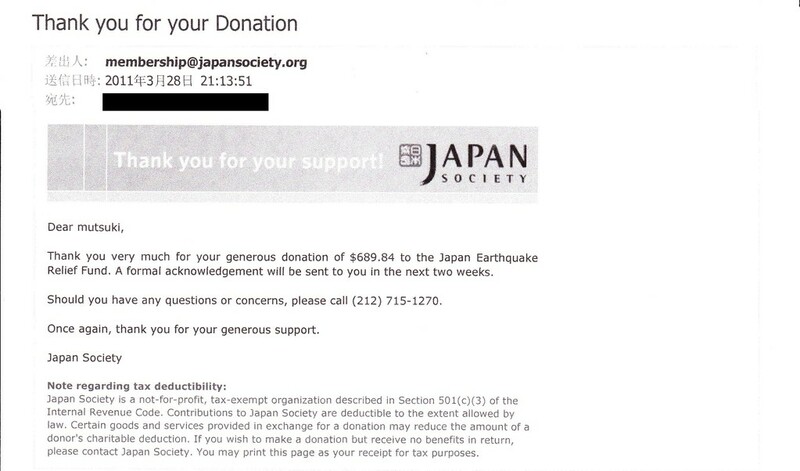 *Tips were added to donation above stated. 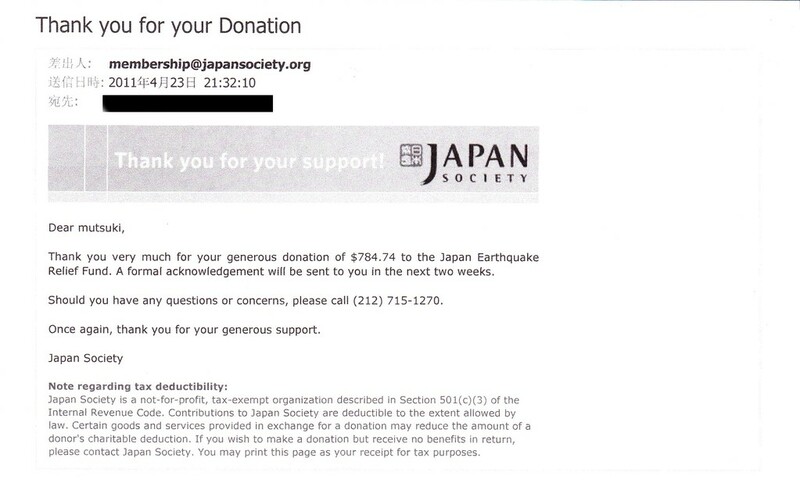 *All tips are donated. Thanks to our staff for their kindness. **There was no credit card transactions. Thanks for your cooperation.